This post is sponsored by Pillsbury. 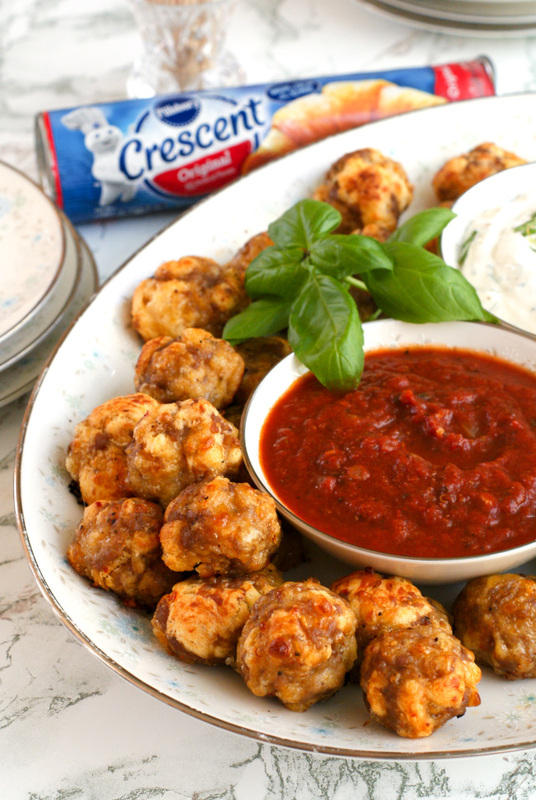 Italian Sausage Crescent Cheese Balls are a twist on everyone's favorite holiday appetizer! They come together easily and have just three simple ingredients, making them perfect for Thanksgiving or Christmas! I am so excited because fall is finally here! It is my favorite time of year for so many reasons, one of them being the holidays! I love to get in the kitchen with some of my favorite goodies to cook up all kinds of yummy recipes to share with my family. I genuinely look forward to the whole process of planning a holiday menu! I love making my list, clipping my coupons, and then heading to the store to shop. I'm one of those crazies who can spend three hours at the grocery store and love every minute of it. What can I say? I love food! 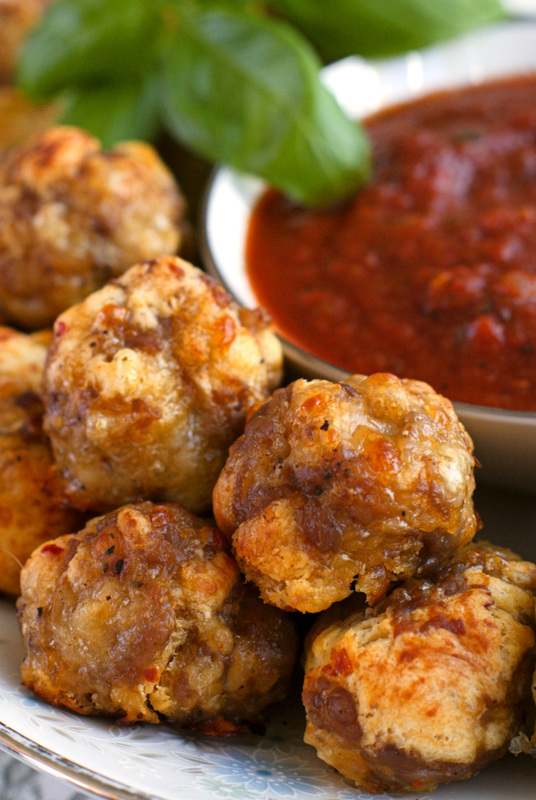 Sausage balls are a classic appetizer perfect for family gatherings like Thanksgiving and Christmas. This recipe makes a bunch of delicious bite-sized balls of cheesy sausage goodness, but his particular recipe has a surprise ingredient. Most sausage balls I've seen use baking mix, but not this one! This one uses Pillsbury crescent dinner rolls! That's right, just sausage, cheese, and crescent rolls. Easy Peasy and oh so yummy! 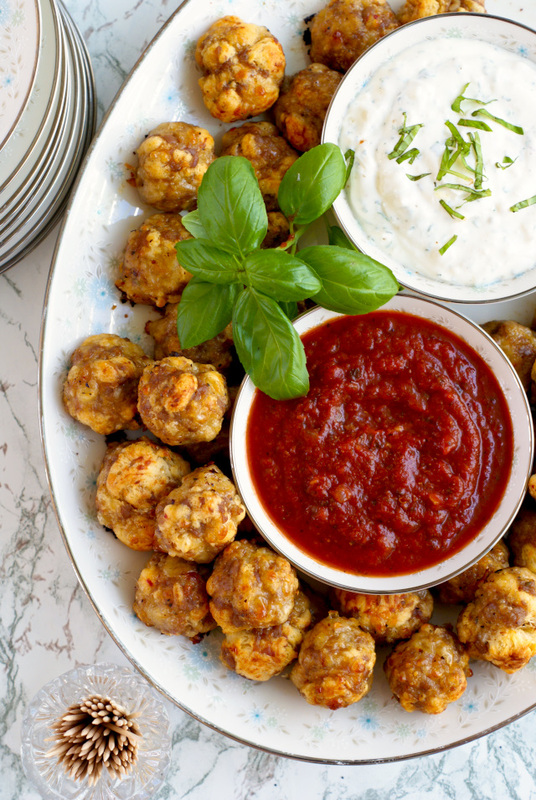 The original Pillsbury recipe for these sausage balls uses hot pork sausage, but I've been on an Italian kick lately, so I went with hot Italian sausage...turkey sausage, to be exact because it's my fave! Going along with the Italian theme, I used mozzarella instead of cheddar. Everything gets mushed up together, rolled into balls, and then baked to golden perfection. YUM! I like to serve these with some marinara sauce and a Parmesan Herb Greek Yogurt Dip (recipe in Notes). You don't have to dip them at all, they're delish on their own, but I'm a dip girl, so I make two dips so there's plenty of variety. I would actually make a double batch of these if I were you. They are that good if you ask me! If you want to make these for your family and friends, you can get a jump start on your Holiday season shopping with great products and savings from Pillsbury! With a variety of options to complete any part of the meal, coupled with all of the great recipes on Pillsbury.com/recipes, it’s time to fire up the oven and tackle one of their fun, easy-to-make recipes. These sausage balls seriously couldn't have been any easier to make. That's what I love about Pillsbury. They create easy, quick-to-fix recipes designed to give you more time with family instead of fussing around in the kitchen. And awesome exclusive savings on their products at Winn-Dixe and Bi-Lo to boot! What's not to love?! Check out the hot sale prices on Pillsbury goodies happening now! • Pie Crust – 2 for $5"
Pair those sale prices with COUPONS from Winn-Dixie and Bi-Lo and you'll save a ton on your holiday grocery shopping this year! And because I'm feeling the love this fall, I'm hosting a $10 Paypal Cash Giveaway that you can use to buy everything you need to try this recipe. Just use the Rafflecopter widget below to enter to win! 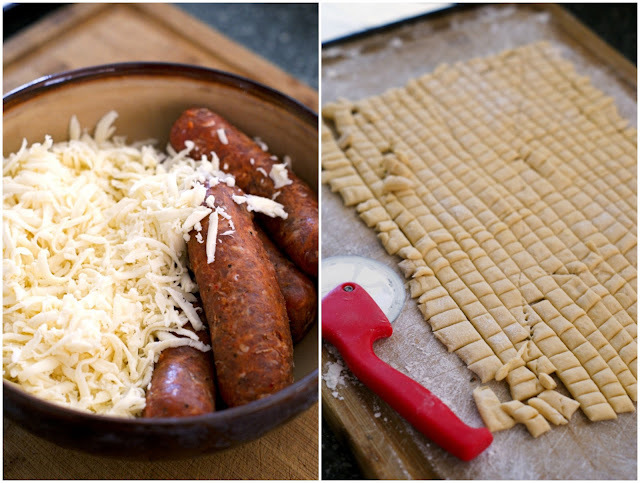 In large bowl, mix sausage and cheese; mix well using hands or spoon. I wanted to use turkey sausage instead of pork sausage, but I couldn't find it in bulk form so I just bought links. Just remove the casings and you have bulk sausage! The original recipe yields 42 balls, but I made mine just a little bigger and made 30. Be sure to grease your foil or use non-stick foil. These will stick without it! Parmesan Herb Greek Yogurt Dip recipe: 1 cup plain greek yogurt, 2 Tbsps milk, 2 Tbsps grated Parmesan cheese, 1/2 Tbsp each chopped fresh basil and parsely, 1 clove minced garlic, salt and pepper to taste; combine all ingredients until well mixed. Cover and refrigerate until ready to serve. The information, products, and Publix gift cards were provided by General Mills through Linqia. All thoughts and opinions are, as always, 100% my own. They look so good! What a great party food! Perfect for parties! Thanks for dropping by, Liz! I would love to make the bacon cheddar pinwheels. I always use betty crocker for my holiday baking so I'd say that! I use the cream cheese to make a pumpkin cheesecake for my family. id buy the sugar cookies! I'd get the cream cheese! Pillsbury Original Crescents are a long standing family tradition. Wouldn't be Thanksgiving without a Crescent Roll!